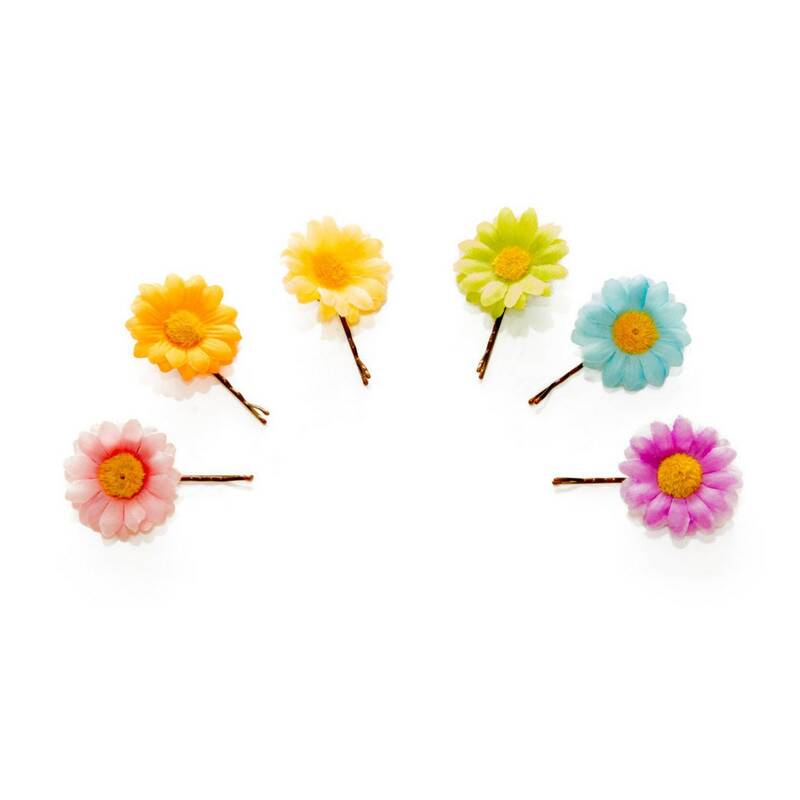 Wear this set of six, pastel rainbow, silk daisy / flower bobby pins to any occasion, concert and festival--people will fall in LUV with your look! You can place these floral pins along a braid, in a bun, on the side of your head...wherever! They also make great gifts for anyone. Product Details: 6 pins (one of each color seen in image) are included in this purchase. Each daisy is roughly 1.3"-1.5" in diameter.